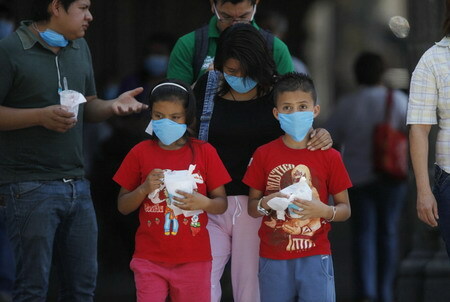 MEXICO CITY -- Mexican health authorities said Thursday they confirmed 300 swine flu cases and 12 deaths due to the virus among a total of 679 people tested so far. Less than half of the suspected cases tested have been confirmed as swine flu, and a series of visits to the families of victims also turned up relatively few suspected cases. Authorities had previously listed 260 confirmed cases, and said the number of cases appeared to be stabilizing. Health Secretary Jose Cordova said one encouraging sign was that the daily number of people admitted to government-run Social Security hospitals with swine flu symptoms had fallen from a high of 212 people on April 20 to 46 on Thursday. Health workers have so far visited the homes of 77 suspected victims and found only two cases in which relatives tested positive for an A-type flu virus that could be related to the swine strain. Cordova said Thursday that authorities had approved or spent 1.6 billion pesos ($116 million) for medical supplies and equipment so far in the epidemic.